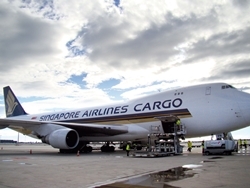 We provide door to door international moves from Singapore to any country . Star Movers is a well known moving company serving as movers in Singapore and in Malaysia. Experts in international relocation and relocating expatriates to over 900 global destinations for the past twenty Years. It is always tiring to move to distinctive locations as it requires packing of goods and belongings while moving them accordingly. To make this job easier Star Movers, the reputed movers and packers in Singapore efficient and effective manner. Star Movers is a unique service which caters to all the requirements of moving; household, office, labeling, packing and furniture. As we are a professional service, we cater your needs and manage your products delicately. We specifically prefer giving attention to even small details in our relocation services. With prominent expertise in moving services, Star Movers are undoubtedly a trusted name to serve you with the best aid as movers and packers in Singapore. We believe in hardwork, integrity and industry expertise. Star Movers is a pioneer Singapore mover service aimed to deliver customized services to let you enjoy an ultimate moving experience. Our moving services are designed by taking an account of client's needs. We offer moving services without wastage to ensure affordable yet cost saving moving solutions. Star Movers operates as top Movers in Singapore with a vast network having expert moving alliance globally. With 24 years of professional moving expertise, we are a trusted name in moving services worldwide. We let you experience an ultimate privilege of relocation ensuring hassle free services. 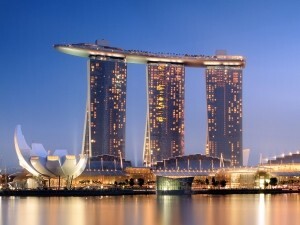 Our expert Singapore moving company will help and assist you in moving or relocating internationally. We take great pride in ourselves as a moving company providing a highly valued personalized moving encounter to our customers. In short, this Singapore logistic and removal services company provides you with a relaxing and memorable relocating experience. Established in 2003, Star Movers with its innovative solutions makes international moving and storage more convenient & less stressful for clients. 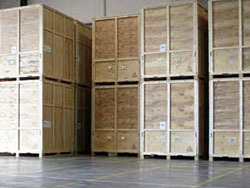 The team of professionals carefully moves or stores the belongings without causing them any damage. Star Movers offers international freight forwarders and moving services with the motive of making overseas move, a smoother experience for its customers. Star Movers have partners in more than 1,300 moving service centre in 146 countries around the world. We know how to move your families’ possessions professionally and on-time. We can settle you into you new country and home with a variety of international moving services. I just completed my 3rd move with your company. Each experience was fantastic. The crew and office staffs were very professional, reliable and personable. I highly recommend Star Moving whether the move is large or small, easy or difficult. The service is amazing. Special thanks to the crew Andrew and Marco for the precarious handling of the heavy furniture through some very tight spots. In June Star Moving And Storage helped us move my elderly parents from a large home to a smaller one. The move was a huge success, thanks to the great guys. The crew was highly efficient, and very organized, thoughtful and helpful. Our whole family was so impressed, and satisfied, especially my parents. We will let everyone we know that Star Moving And Storage are the best!!! We cannot thank you enough! All the best to you guys! I used Star Moving & Storage twice this year, and it was a great experience. Aaron’s crew were great – all of the furniture was treated with great care and arrived in perfect condition at the final destination. Many of our neighbors were also impressed at their attitude, work ethic and just overall great guys. This is a company/service that I no reservations about providing a great recommendation. Today, while many things in our lives have improved compared generations ago, there is one aspect from the past we miss dearly – honesty and ethics. Lies, half-truths, cohesion, and unreliability seem to be standard business practice these days. It is so nice to deal with a firm that provides an honest business agreement outlining all the costs upfront, shows up on time with knowledgeable and adequately trained staff, and works productively at both work sites. No monkey business, no surprise fees, no “we could not find a truck to rent” nonsense, no unfit movers complaining about all the stairs, no banging furniture into walls, no long comfort breaks while the clock ticks. Great service with a smile like things used to be back when I was young. I booked Marched 27, 2012. Reliable, respectful, very professional, great sense of humour, No concerns, no damage. Will book again when needed. Fantastic!! We would like to thank Star Moving for making what could have been a very stressful day downright easy. Jason, Mani and Kavi are hard working, careful and were very easy to trust with our belongings. Many thanks and we wish them luck with their goals. Thanks guys for the great move. Very professional, very quick. For my place they had everything unloaded in the apartment and done within 1 hr! They had all the tools, blankets, lifts to get the job done properly. Their help made a huge difference in my move and I can’t imagine having done it without them. I am very impressed with the standard of service and care from Australian Vanlines from start to finish. I moved a full household from Sydney to Auckland and it arrived on time without any damages. The packing crew did an exceptional job, ...MoreI am very impressed with the standard of service and care of star movers from start to finish. I moved a full household from Singapore to Auckland and it arrived on time without any damages. The packing crew did an exceptional job, whilst they also chose a very professional accredited company here in Auckland to deliver my effects. I would be happy to recommend star movers to all my friends, as they made the extra effort to assure us on the long journey ahead.